I've been on the hunt for a new iron for a very long time. 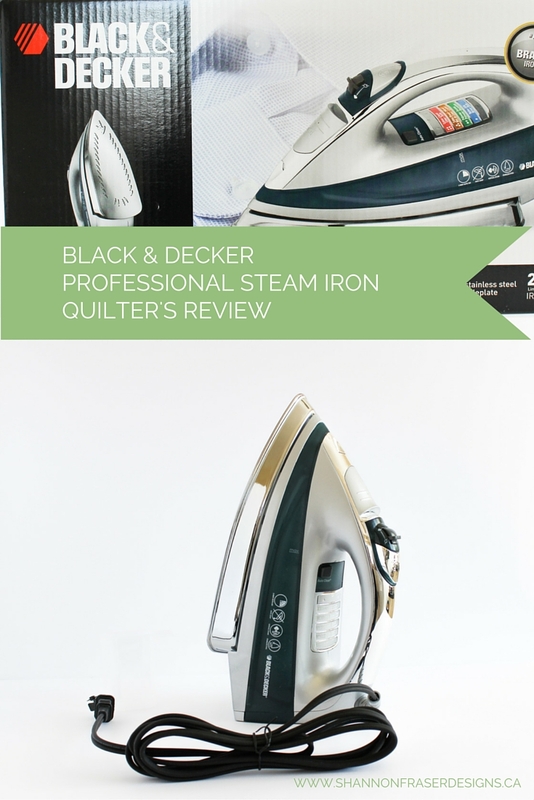 I can’t tell you the number of hours I've spent researching irons and reading reviews. Honestly, more than I ever thought or cared to have tackled. But a good iron is essential for quilting and so I've been doing my due diligence. My beloved Rowenta has been leaking for a good chunk of time – some days more than others. And when I say leak, I mean it can be a whole pool of water that comes gushing out. Some days, not even a drip! Beyond frustrating! Plus the central dial for selecting the heat setting fell off and no longer tells me the correct setting. And it’s hit or miss as to whether she comes on or not. Despite all this craziness, I just can’t seem to part with her! 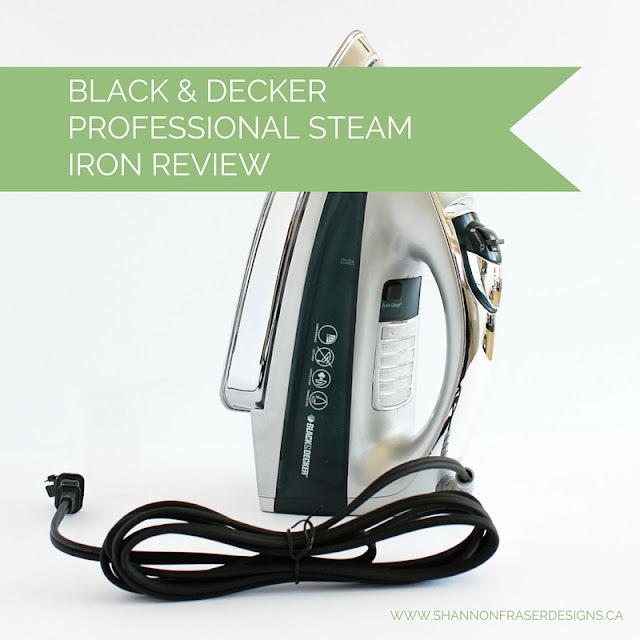 Then, during an impromptu Canadian Tire run, I stumbled upon the Black & Decker Professional Steam Iron at 50% off. I thought – this is it – this is a sign. And Thankfully the hubz was on hand as the only box left was on the very top shelf – wayyyy beyond my reach ;) I grabbed her and headed to the cash. 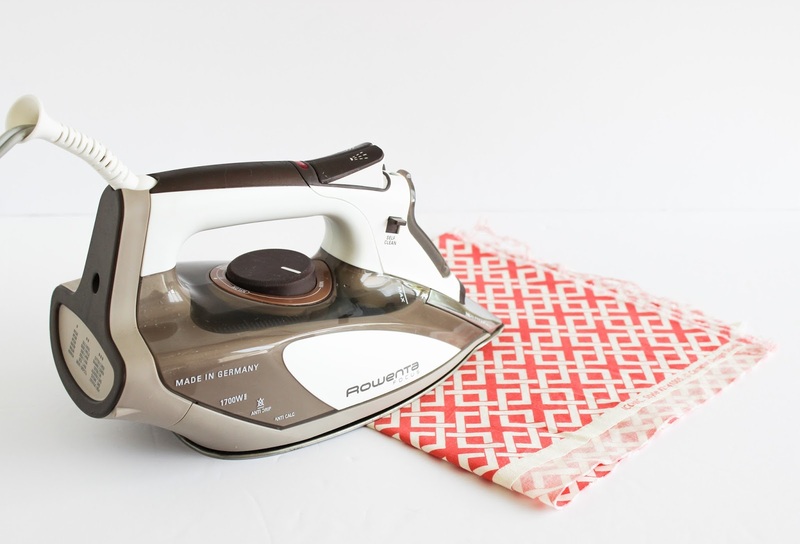 I had heard great things about this iron from other quilters and thought at $29.99 (down from $59.99) I couldn't go wrong. I eagerly took her out of her box, got her all set up and pulled a pile of fat quarters from the dryer. The session started off alright, only to hit a snag on the second fat quarter. There it was – the dreaded wet spot! So much for the anti-drip technology this iron claims to have. At least my Rowenta took a few years before she started sputtering! In the above example, this is the second pass with the Black & Decker and she's still got wrinkles. She also doesn't weigh as much as the Rowenta. 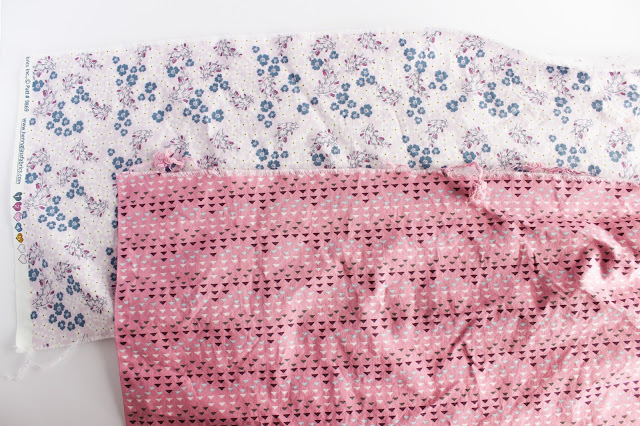 Which can be a good thing when you’re ironing several hours a day. 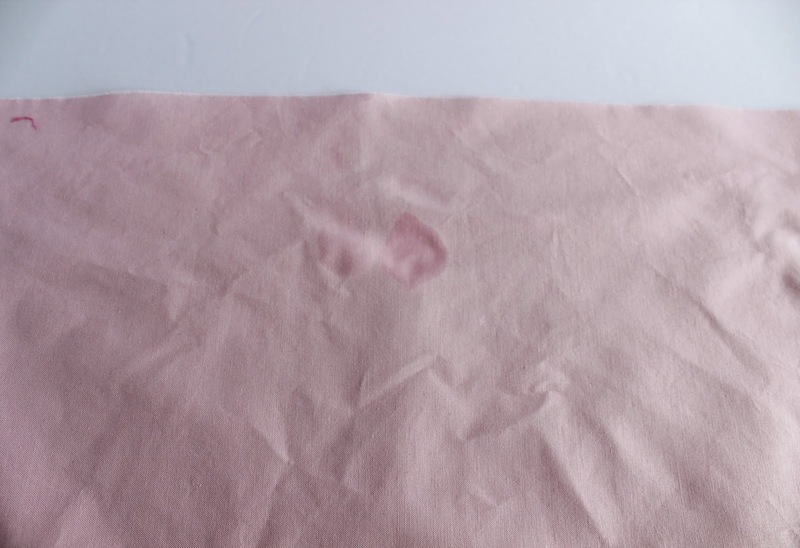 But, in the end, I miss the weight as that in of itself helps ease fabric creases. I also noted the steam capability can’t be compared. The Rowenta’s plate has many more holes and she really steams up nicely. So much so, I benefit from a daily facial! Plus the Black & Decker doesn't heat up nearly as much as the Rowenta. I know this as I can’t put my fingers on the freshly ironed fabric when using my Rowenta, but didn't have a problem with the Black & Decker. I did a side by side test between the two and, although the pictures don’t really show up that well, the Rowenta does do a better job of ironing. The front fold was done by the Rowenta while the flat piece was ironed with the Black & Decker. It’s not all bad things for the Black & Decker. It does have a larger sole plate, which is really nice when ironing larger pieces of fabric. I also like the beeping to notify me when the auto-shut-off kicks in. But there is a good $100 difference between the two (well, that is, if you buy it on sale; otherwise it’s more like $70). And for that price, the Black & Decker isn't a bad option. I just can’t handle the dripping. 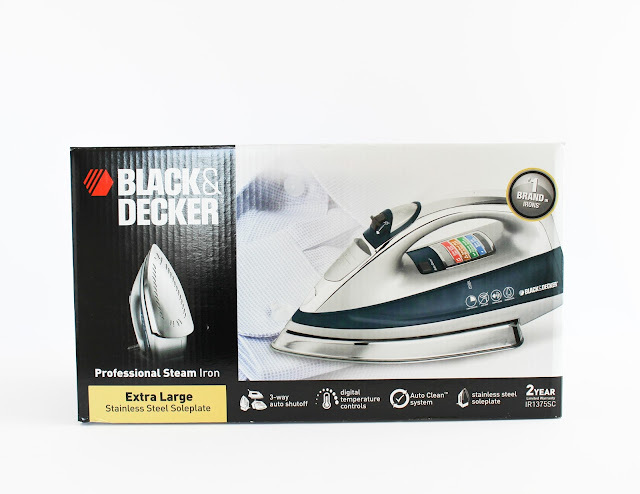 Looks like my iron search continues, as this Black & Decker is headed back to the store tomorrow. I'm back to considering Rowenta, Oliso and T-Fal. What I've come to understand from chatting with other quilters, it really does come down to personal preference. 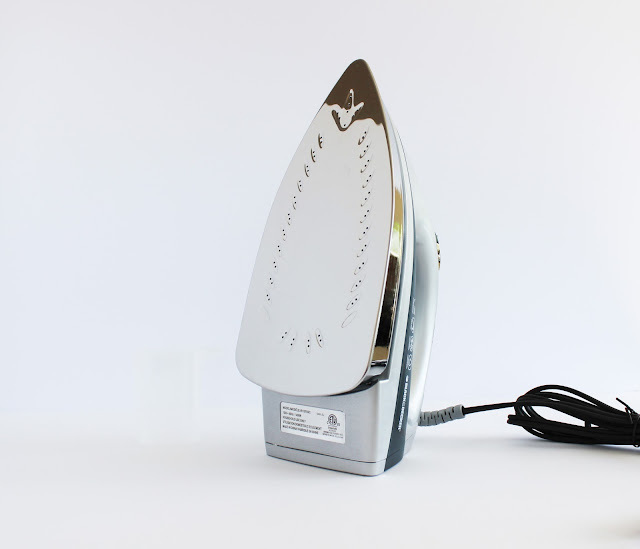 But I'm open to suggestions and would love to know what your go-to iron is! 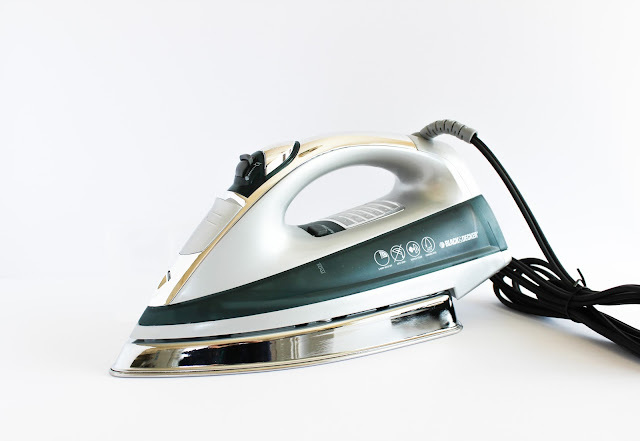 This is my iron that I have had for about 3 years and love dearly! I haven't had any problems with it... we also use them in the Mad About Patchwork studio... maybe you got a faulty one? It must have been a dud then! And such a shame as I already returned it and bought a different iron! Happy to hear you love yours and that it's been going strong for 3 years!! I currently use a Panasonic which I paid around $60 and it works well. It's super hot and the steam is good. BUT and it's a big but, it leaks like crazy every time the automatic shut off comes on and off. And it comes on OFTEN!!! If I don't touch the dumb thing for 10 minutes, it shuts off. 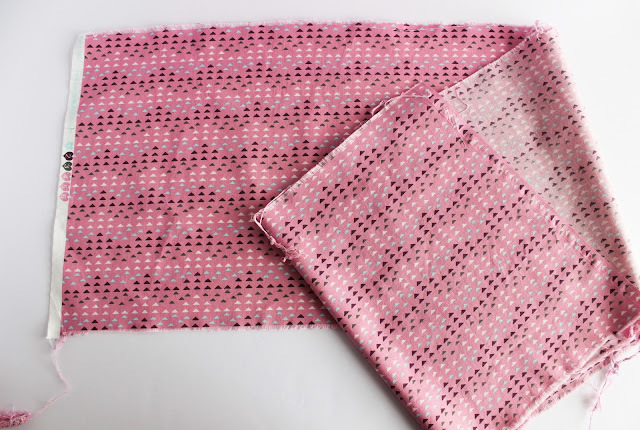 And then I have to wait for it to heat up AND keep it away from my fabric because the water is going to come spewing out of it while it heats up. I really need to get a new one so can't wait to hear what you ended up getting. I'm so happy the review was helpful for you, Mary! I do find a lot of irons just don't get hot enough and the emphasis on lightweight is no good for pressing either. Wouldn't it be great if shops did a try before you buy. You could take some pieces of wrinkled fabric to the shop and put a few irons through their paces until you found one that suited. That is such a great idea, Kate!! I would love to be able to test drive my irons before purchasing, as it doesn't take long to determine whether you love it or not!